Properties in Old Town average 4.7 out of 5 stars. Property 1: Cute, Clean, Cozy & close to all! Discounted rates $25 off 2019 nightly rate ! Property 2: Private & Peaceful Cottage Feel, Discounted Rate 25$ off 2019 nightly rates! Beautiful condo with a deck/patio & shared pool - walk to beaches, Duval & more! Property 5: Beautiful condo with a deck/patio & shared pool - walk to beaches, Duval & more! Property 6: Rent a Piece of Paradise, Best Location on the Island! Property 7: Down Island Digs ~ Ideal Location Downtown, Private Pool. Property 10: Quiet, Quaint, and Conveniently Located! "RIPTIDES"~Stylish Studio Located in a Central Location Near All the Action! Property 13: "RIPTIDES"~Stylish Studio Located in a Central Location Near All the Action! “STONE'S THROW” ~ 2 Bedroom Conch Cottage with Pool, its a PERFECT LOCATION! Property 14: “STONE'S THROW” ~ 2 Bedroom Conch Cottage with Pool, its a PERFECT LOCATION! Lovely condo w/ a private patio, shared pool & perfectly walkable location! Property 16: Lovely condo w/ a private patio, shared pool & perfectly walkable location! 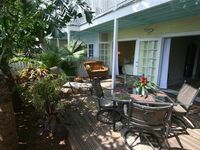 Property 17: Dog-friendly studio within walking distance to Duval Street! Bonus!!! Two bicycles provided! Beautifully appointed first floor condo. Property 19: Bonus!!! Two bicycles provided! Beautifully appointed first floor condo. Property 20: Dog-friendly beach suite w/ shared hot tubs, kitchenette, patio space, and more! 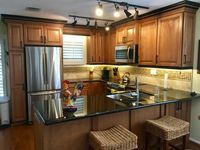 Bright condo w/ homey feel, entertainment & private parking - beach nearby! Property 22: Bright condo w/ homey feel, entertainment & private parking - beach nearby! Property 25: "A Touch of Paradise" Fabulous Pool. Near:Beach, Duval St, Bars, Food, & Music! 2 Free Bicycles, Free secured Wi-Fi, telephone, 1st Floor, Exterior Fans. Property 27: 2 Free Bicycles, Free secured Wi-Fi, telephone, 1st Floor, Exterior Fans. Property 31: "THE QUARTERDECK" ~ Colorful & Comfortable 2Ba/ 1Ba Unit in The Shipyard! Newly remodeled! First Floor - Near Duval Street! Property 33: Newly remodeled! First Floor - Near Duval Street! "VILLA AZUL" ~ Beautiful Unit Located in Truman Annex - Walk to all the Fun! Property 36: "VILLA AZUL" ~ Beautiful Unit Located in Truman Annex - Walk to all the Fun! Elegant condo w/ entertainment & private parking - great central location! Property 40: Elegant condo w/ entertainment & private parking - great central location! Property 42: "TIDES ON SIMONTON" ~ Perfectly located just off Duval and all the fun! Cozy, dog-friendly townhouse w/ shared pool & courtyard - walk to Duval & more! Property 45: Cozy, dog-friendly townhouse w/ shared pool & courtyard - walk to Duval & more! Stylish, inviting home w/private pool in heart of downtown - walk to everything! Property 47: Stylish, inviting home w/private pool in heart of downtown - walk to everything! "CAPT JACK'S HIDEAWAY" ~ Vintage Conch Cottage Located on a Quiet Lane! Property 50: "CAPT JACK'S HIDEAWAY" ~ Vintage Conch Cottage Located on a Quiet Lane! It is a Very comfortable space and is close and accessible to almost everything you may want to do. We had access to many amenities in the condo. Didn&rsquo;t really need to buy anything but food &amp; drink. Anyone would love it. Beautiful home! Key West is a special place and this home is in the perfect location. We hope to be back soon!